COLUMBUS — Farmers, crop consultants and others interested in learning more about proper subsurface drainage, can attend the Overholt Drainage School March 16-20 and learn key concepts in water table management, including how proper subsurface drainage can increase yields and benefit Ohio’s water quality. The Conservation Tillage & Technology Conference (CTC) will be held Tuesday and Wednesday at Ohio Northern University’s McIntosh Center in Ada. The new Hardin County Beef Ambassador Program (HCBAP) provides an opportunity for youth to educate consumers and students about beef nutrition, food safety and stewardship practices of the beef industry. The Hardin County Pork Producers will hold their annual Pork Banquet at 6:30 p.m. Saturday, March 14 at St. John's United Church of Chris in Kenton. Some farmers have received a notice that informs them that their current pesticide applicator license will expire at the end of March 2015 and that they must complete their continuing education hours to renew before this date. Hardin County FSA Director Douglas D. Dyer would like to remind producers of upcoming important deadlines for the new safety-net programs established by the 2014 Farm Bill, known as Agriculture Risk Coverage (ARC) and Price Loss Coverage (PLC). The Hardin County Sheep Improvement Association will hold their annual Lamb Banquet on Saturday, March 7 at St. John's United Church of Christ at 6:30 p.m. Agricultural fertilizer applicator certification is now required for farmers who apply fertilizer to more than 50 acres of agricultural production grown primarily for sale. 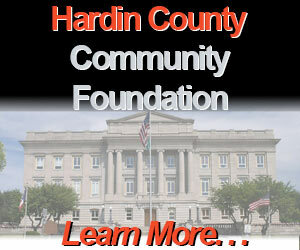 The Hardin County Pork Producers are offering six $500 scholarships to qualified students. 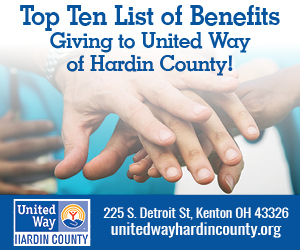 Scholarships will be awarded to one student from each of the six county schools.